J-Flex – your complete source for specialist silicone sheet products, including food safe silicone rubber! 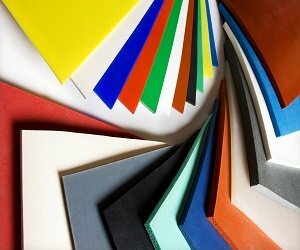 J-Flex enjoys an industry wide reputation as the market leader for the manufacture of specialist sheet rubber products including food safe silicone rubber sheets which are also safe for use in the manufacturing process for drinks and pharmaceuticals. Our safe silicone sheeting provides a high quality safe and reliable product that is an ideal solution for the manufacturing processes in the food, drinks and pharmaceutical industries. J-Flex silicone sheeting products are independently tested and comply with the requirements issued by the US FDA, German BfR as well as EC Food Safety regulations. By complying with the above regulations and authorities, J-Flex food grade silicone rubber sheeting offers the reassurance that it does not contain any of the banned substances that some lower quality products that are on the market do. As manufacturers of rubber products, J-Flex safe silicone rubber can be supplied as sheets, die cut gaskets, moulded seals, extruded sections, inflatable seals – in fact any moulded, extruded or calendered component. Micra-Sil® is a Registered Trademark of J-Flex.